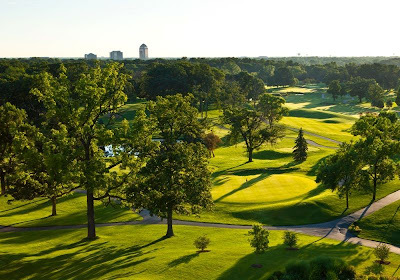 Set upon the beautiful AAA Four Diamond-rated Eaglewood Resort & Spa, The Biggest Loser Chicago will inspire you to relax through its back-to-nature landscape of oak forests and meandering walking paths. Located minutes from O'Hare International Airport, and 30 minutes from downtown Chicago, the resort is located in Itasca, Illinois. The resort features the Eaglewood Spa, who's salon professionals are committed to helping you relax after your fitness activity. Unwind with a body massage or treat yourself to even more treatments. Your therapist will personalize your massage by combining a variety of techniques, all geared toward relieving tension and restoring energy, balance and focus. Not to be missed is the Eaglewood Signature Pedicure. This 60-minute classic pedicure for women and men starts with a soothing soak in the whirlpool foot bath, followed by an exfoliating scrub and foot/ half leg massage with a luxurious body butter. It is finished off with detailed nail work and flawless polish for women, or buffed to shine for men. The Biggest Loser Chicago helps guests achieve the energizing results of a healthy lifestyle with a structured program of fitness activity, calorie-controlled spa cuisine, and education. Enjoy fun and exhilarating activities in the dedicated fitness, aerobic and workout facilities; enhance your experience with personal training; learn more about your body through state of the art metabolic and fitness testing; and partake in nutrition counseling sessions. Activities and amenities include: amazing hiking trails in the Illinois countryside; a 6-lane bowling alley and access to a stunning championship golf course. Enjoy chef-created, delicious and calorie-controlled spa cuisine. Licensed professionals teach how to approach meal planning and recognize habits such as emotional and intuitive eating. 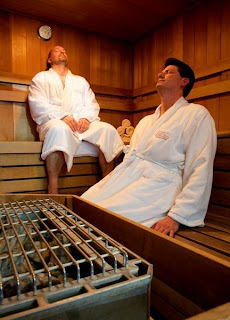 Then, relax with wonderful spa treatments. The resort offers casually elegant guest rooms with all the modern conveniences.